Classic Urban Harmony lists here our upcoming events so you can mark your calendars way in advance. 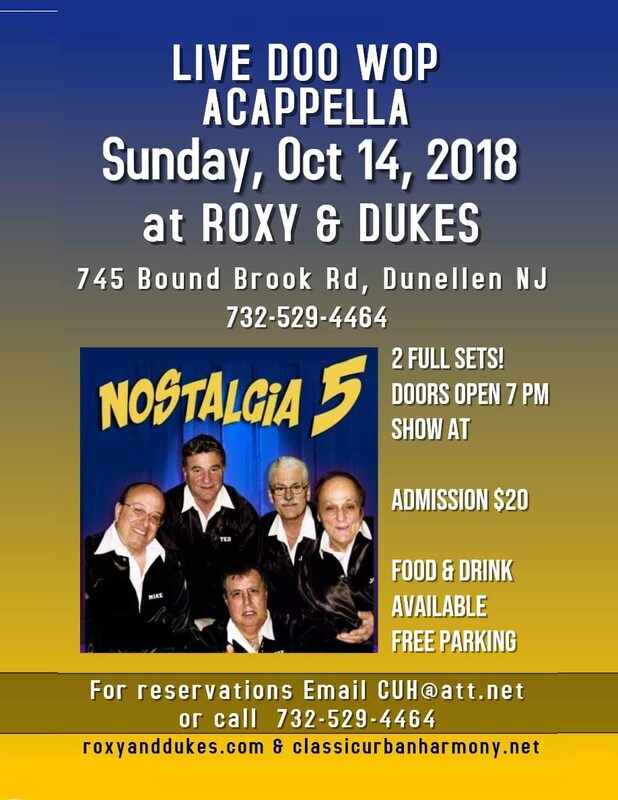 We know there are many R&B and Doo Wop events you can attend, and we try to help publicize and attend many of them ourselves. But we work very hard to produce concerts in one small but vital segment of our music that is often neglected. 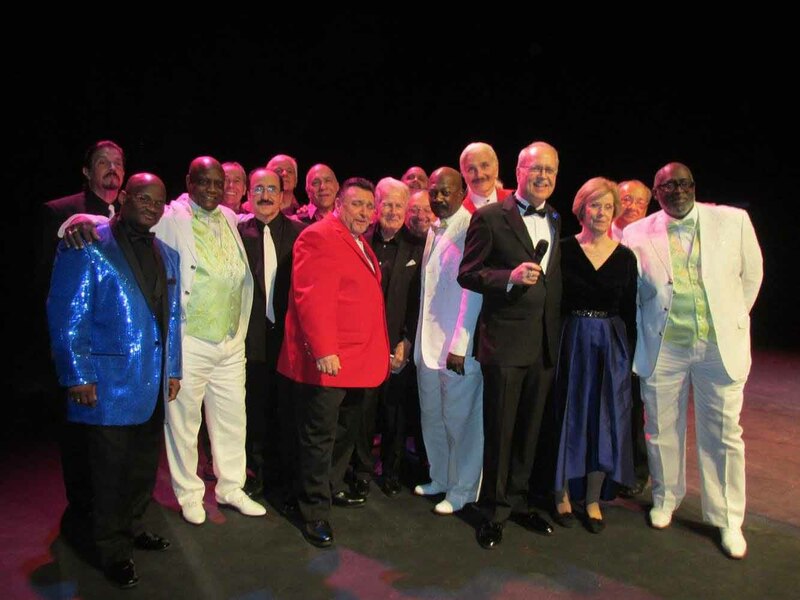 Most Classic Urban Harmony concerts are acappella, our specialty. If you’re interested in any or all of these events, see our Events Page for more details. Roxy & Dukes is at 745 Bound Brook Rd, Dunellen NJ. Emails us at CUH@att.net for Reservations. 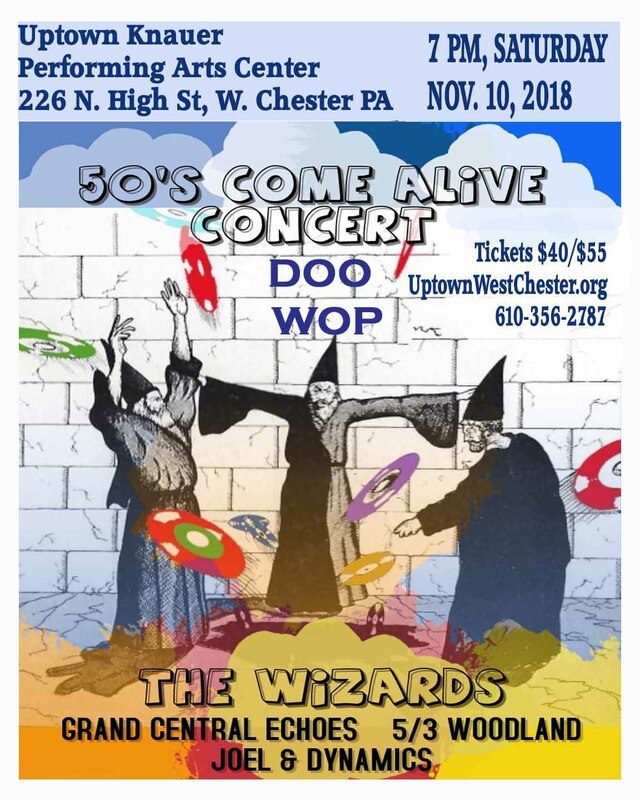 Uptown Knauer Performing Arts Center is at 226 North High Street, West Chester, PA Monmouth University. Visit www.uptownwestchester.org for tickets. Line ups are always subject to change as no one can predict life changing events months in advance. However, our track record for producing past concerts speaks for itself. We just about always deliver what we advertise.